Paving the Way with Imagination and Style! Consultants and Installation Contractors of Interlocking Pavers, Segmental Retaining Walls and Specialty Masonry. General road construction*parking lots * gas stations * driveways * patios * highway rest areas *bridge underpasses * entrance areas * industrial plants * industrial yards * factory streets * rail tracks * storage depots * loading docks * farm roads and yards * flooring in stables * sidewalks * terraces * garden paths * beach promenades * shore fortifications * military installations * erosion prevention * protective surface for bridge abutments * pedestrian malls * roof gardens *airport taxi ways and more. 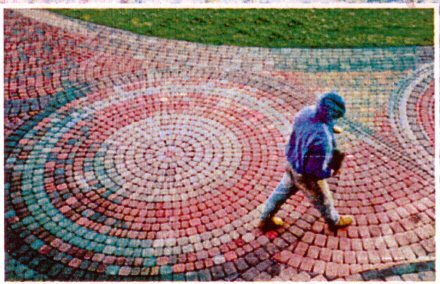 As always Landloc Paver Systems Inc. has and will always continue to set the standards of unsurpassed quality and excellence in paving industry. Landloc Paver Systems Inc. has installed over one million square feet of segmental modular systems since 1983.